Near to the end of the year, Black Friday, Christmas shopping season will come one after another, in this shopping Carnival time, will the sales of acclaimed Kindle fire exceed iPad? 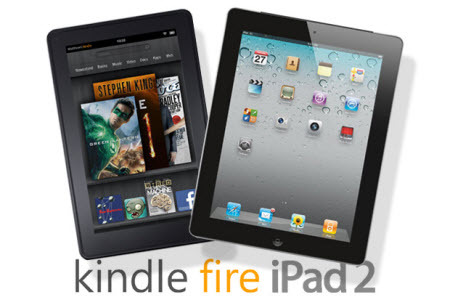 According to the survey, among the respondents, fifty-one percent of the people prefer Kindle Fire between the two. The data is very interesting, supporters of both neck and neck, while the choice of the actual purchase, iPad has a significant advantage. The survey found, when people answer the question “which tablet is most likely to buy in holiday shopping?”, 62% of people voted for the iPad, those who choose kindle fire accounted for 38%. Of course, the real sales data, we won’t get from amazon and apple until the shopping season ends. Merely, an obvious phenomenon is that some people may like one, but they will buy another one. In my opinion, choose iPad or Kindle Fire, just according to your own interest, prefer iOS or android system. In terms of price, Kindle Fire is much cheaper than iPad. Anyway, make the decision according to your needs. Hey admin i love your blog well done!